Dan Seaborn encourages individuals and families to lead Christ-centered homes. His practical illustrations and memorable real-life examples teach others how to win at home. Through energetic and memorable presentations, Dan talks openly about family life—often by revealing his own struggles or failures. His sincerity leaves audiences nodding in agreement and his quick wit leaves them laughing, but ultimately it is Dan’s commitment to God and family that captivates and challenges listeners of all ages. 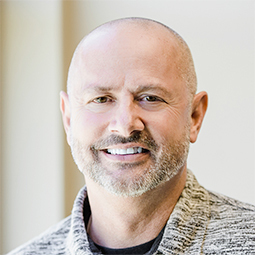 As a featured speaker at various churches and large-scale events such as Promise Keepers weekends, American Association of Christian Counselors (AACC) conferences, and university assemblies, Dan has earned recognition as a powerful and passionate communicator. In addition, he has authored twelve books and has established himself as a media personality on West Michigan television and on national radio.